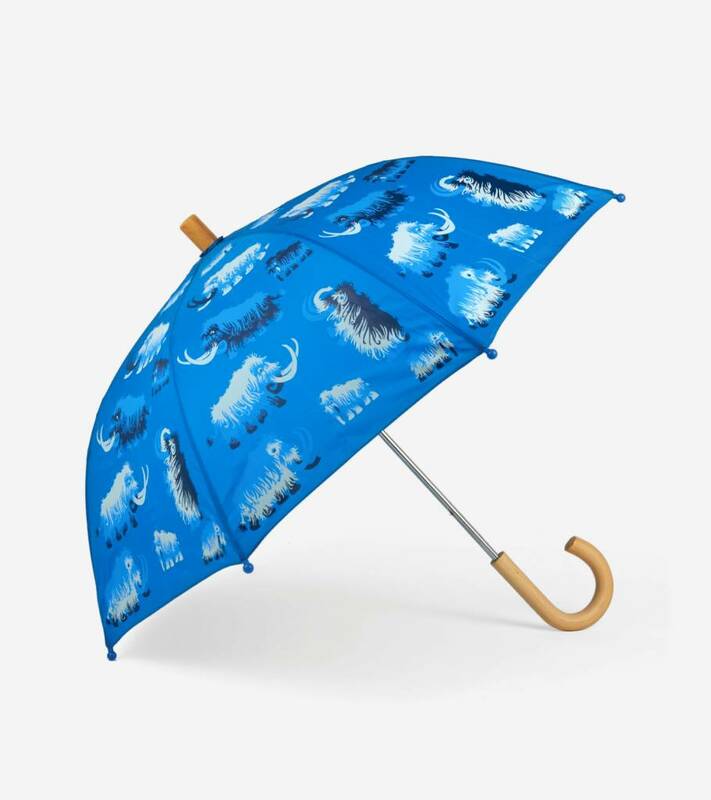 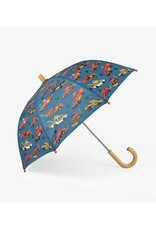 Until the rainbows appear, let this umbrella with its awesome print shield them and keep them dry. 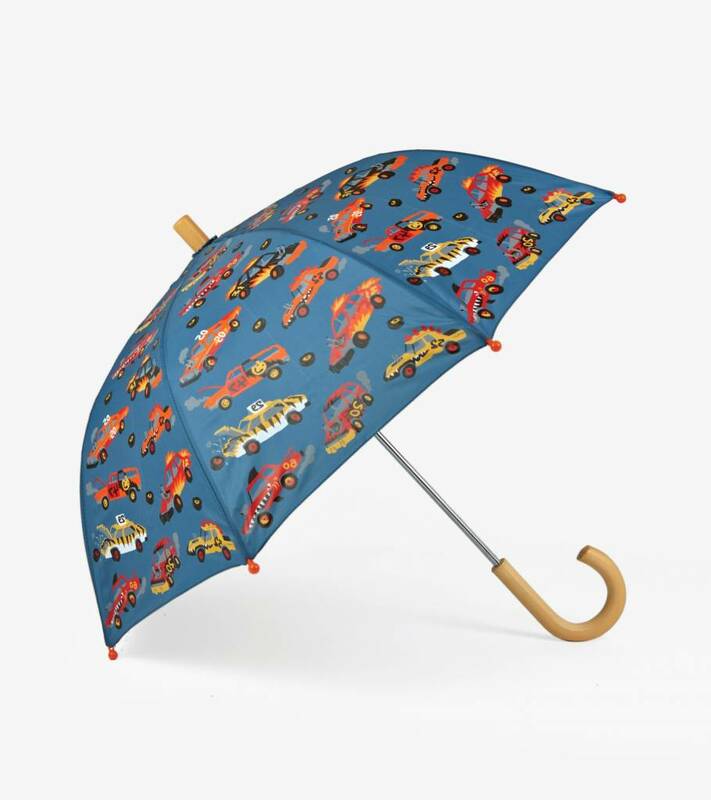 Designed with kids in mind, it also features a wooden handle for a classic look. 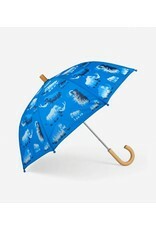 Complete the rain kit with matching boots and raincoat.